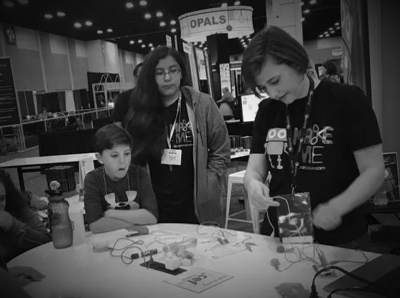 The MakerBit system makes STEM and STEAM curriculum more interesting and accessible than ever and now with the Next Generation Science Standards and coding requirements being rolled out, it's a greater requirement than ever to implement hands-on activities that correlate to these new frameworks. Here are a few of the providers of professional development that specifically include hands-on learning for educators and technology directors with the MakerBit. Heather Lister is an educator with a passion for STEAM and maker education. Previously a school librarian, she is now the owner of Construct Learning , a consultancy focused on STEAM, maker education and PBL. She is also a Senior Fellow with the Foundry Makerspace . She is the President-Elect of the ISTE Librarians Network. Heather is an international speaker and author. Heather is the mom of two wonderful children and a lover of all things Harry Potter. Follow her @heathermlister or check out her blog at www.heatherlister.com. Paul Shircliff has been a middle- and high school STEAM teacher for 22 years, teaching Physics and Geometry,, as well as community college courses. His learning space has evolved over time to incorporate more PBL, technology, and Maker projects. He has done coding with VEX Robotics, Edison, Sphero, Arduino, Circuit Playground Express, and micro:bit. 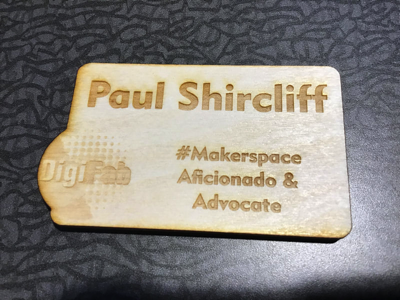 He is a frequent presenter about Maker ideas at SPARCC, NEOTIE, PodStock, MACUL, as well as on other topics like Project Based Learning and Student Voices in assessment. You can find Paul on twitter @shirky17 or his website http://www.paulshircliff.org, and his “blog” is “the journey” on that site. Steve Zanotti (@steve_zanotti - zanotti@pd.code.org) is an Instructional Technologist and a Math for America, Master Computer Science Teacher Fellow in Los Angeles. Most recently he teaches high school CS Classes, facilitates Code.org CS Fundamentals workshops for teachers, and is the Computational Thinking & Computer Science Academic Coordinator for UC Irvine's CalTeach Program. Steve has 20 years of classroom experience in all grades from K12 to adults in the areas of educational technology and computer science. Steve is a graduate of University of California Irvine in Biological Sciences and holds an MA in Educational Technology from San Diego State University and an MA in Educational Leadership & Administration from Cal State University Northridge. Steve is gifted presenter at education conferences and often consults with organizations on instructional design and Computer Science." "Steve was a kind and extremely helpful instructor. I had absolutely no knowledge of computer science and coding, but his patience and positive attitude made me more receptive and even excited to get coding into my classroom immediately. Thank you very much for all your help, Steve!" "I felt this was an outstanding workshop that inspired me to bring more computer science into my students. One of the best things I took away from the workshop was that I walked away feeling I can get started right away. 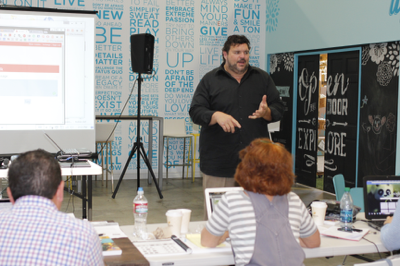 Steve is a great presenter that made a difficult subject approachable and enjoyable." "It was very engaging and collaborative for us as educators, without any doubt, implementing what was learned with our students will be fun, engaging and boost their interest in computer science."